Work experience: total experience of 9 years, scientific and pedagogical experience of 6 years. Academic degree, academic title. academic degree: Master of Science in the specialty magistracy 6M090100 – “The organization of traffic and the operation of transport”, 2010-2013. KSTU. From 2015 to the present, art. Lecturer, Department of TT and LS KSTU. Main research interests: Ways to improve road safety in road transport. Main publications: author and co-author of a number of e-learning tools, educational and methodical literature. Subjects read in the academic year: Conducts lectures, practical and laboratory classes in the following disciplines: “Fundamentals of TAU”, “Fundamentals of Feasibility Study”, “Fundamentals of TETT”, “Ensuring Traffic Safety in Transport”, “Transportation Management in Transport”, “Organization of Production and management of the enterprise “, leads theses and production practice. 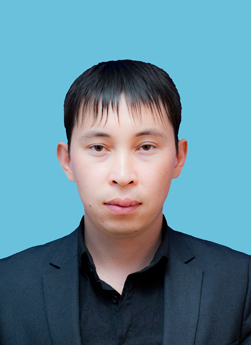 Advanced training: In 2015, he completed a training seminar on engineering pedagogy, an internship at the base of AP №3 LLP in Karaganda.